There is no doubt that the negative effects of smoking far outweigh the positive ones, if there are any. Tobacco smoke contains a variety of toxins which are poisonous to the body and slowly disrupt the normal functioning of all vital organs. Cigarettes generate many harmful chemicals when they burn and a lot of those chemicals not only create an addiction, but they also considerably increase the risk of cancer. One of the main ingredients contained in cigarettes is nicotine. This is a mood-altering drug which stimulates the central nervous system and has many negative effects. It is the prime reason for developing an addiction and makes any attempts to stop smoking more difficult. Smokers are at a higher risk of developing serious respiratory problems. 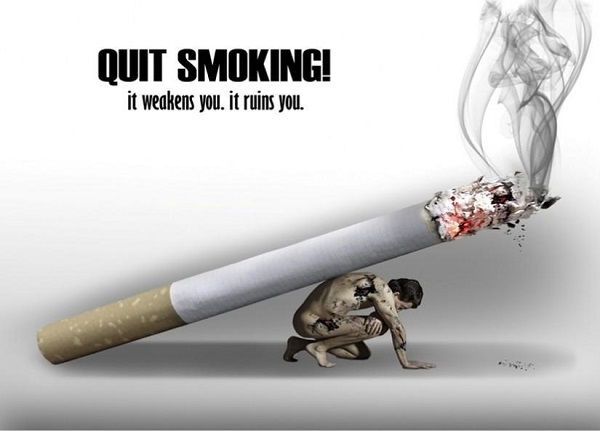 Moreover, smoking leads to high blood pressure and increases the risk of a heart attack, stroke, as well as leukaemia. Smoking is not just bad for your physical health, but it also has a negative impact on your mental health – it is an addiction that many people find difficult to get rid of. However, strong motivation and dedication to your goal can really help you on the way. Nowadays, there are many methods created to help you free yourself from this dangerous habit such as chewing gums, nicotine patches, special medications, etc. However, these often don’t give the desired results or have no effect whatsoever. The good news here is that you can break your bad habit in just a few steps with hypnosis for quitting smoking which is a great treatment that offers great results fast and provides many benefits. Hypnosis is a specifically developed method that helps you reach a high level of concentration and focus on your goal, in this case – quitting smoking. It is done under supervision and with the help of a therapist who uses various mental images and verbal repetitions to make different suggestions. When you are hypnotized, your mind is more open to suggestions and you are also more relaxed and calm. During this process your hypnotherapist will make various suggestions that will help you associate cigarettes with unpleasant sensations and tastes. This will make quitting smoking easier and less stressful. The advantages and uses of hypnosis for quitting smoking were first described in 1970 by Dr. Herbert Spiegel. He developed the hypnotic strategy today known as the “Spiegel method” which focuses on the following basic suggestions: smoking is poisonous for your body, you need your body to live, if you want to live you must respect and protect your body. Since then, hypnosis for quitting smoking has become a very popular method that has helped a lot of people to leave smoking for good and improve the quality of their life. The treatment itself is aimed at changing the thinking patters related to smoking and it helps you develop a different attitude towards this bad habit. Hypnosis is very effective and the results are visible after just a few sessions. During each session the hypnotherapist will help you relax and reach your subconscious mind. He will then create different mental images or suggestions to help you break your smoking addiction and live a happier and healthier life.